It’s something we’ve all faced, especially in today’s economy: too much month at the end of the money. Even the most noble efforts at maintaining a budget can be thwarted by car breakdowns, plumbing issues and a host of other unforeseen expenses. In these situations, you’re going to need a little cash to hold you over until your next paycheck. There are several loan options available. Here are the most common, and what you need to know about them. Also known as cash advances, these are short-term, unsecured loans that come due when you receive your next paycheck. Some payday lenders run credit checks but most do not. Approval is based on verification of income and employment. 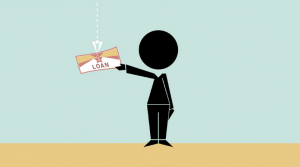 Payday lenders often advertise very low fees, but those fees can increase rapidly and significantly if you repay your loan even a day or two late. Be very cautious with this type of loan, as in some worst-case scenarios you may ultimately pay just as much interest as your initial loan amount. A title loan is a cash loan, usually short-term, where you pledge the title to your car as collateral. The maximum loan amount is determined by the value of your car. Interest rates on title loans can be very high, often north of 20 percent, and if you default, the lender can repossess your car and sell it to satisfy your debt. A credit card offers a line of credit which you can draw from at any given time. Only the interest on the outstanding balance is due each month. You have to be careful with credit cards. They can be enticing because the minimum monthly payments are so low, but thousands of people each year become saddled with insurmountable credit card debt that forces them to spend thousands per year on interest payments that do nothing to attack the principal balance of their debt. A charge card is similar to a credit card, except the balance must be paid in full each month. It can be a useful thing to have in your back pocket for unexpected financial quandaries, as the interest rate on a charge card is typically much less than on a payday or title loan, and the potential to find yourself slowly strangled by debt is much less than with a credit card. The biggest challenge with a charge card, especially in the wake of the credit crunch, is getting approved for one. You need to have a good credit history and verifiable income. Pawning is an excellent way to receive a small cash loan at a low interest rate. You simply pledge as collateral an item or items you own such as jewelry or electronics to a reputable pawn shop such as Sam Light Loan Company in St. Louis, and they provide a short-term loan at a low interest rate. Because the value of your collateral mitigates the lender’s risk, there is no need for a credit check. Everyone gets in a pinch from time to time, and when it happens, there is nothing wrong with asking for a little help. However, it is important to seek that help from the right source so that your short-term financial hiccup doesn’t amplify into a long-term financial quagmire. Definitely believe that that you stated. Your favorite reason appeared to be on the internet the simplest factor to take into accout of. I say to you, I certainly get irked at the same time as people consider concerns that they just do not recognize about. You managed to hit the nail upon the highest and also defined out the whole thing without having side effect, folks can take a signal. Will likely be again to get more. When someone writes an paragraph he/she retains the image of a user in his/her brain that how a user can be aware of it. Thus that’s why this paragraph is outstanding. What i don’t understood is actually how you are no longer actually a lot more well-favored than you might be now. You are very intelligent. You recognize thus significantly with regards to this topic, produced me in my view believe it from a lot of varied angles. Its like women and men are not fascinated until it’s something to accomplish with Girl gaga! Your individual stuffs nice.